How to catch and trap rats alive? 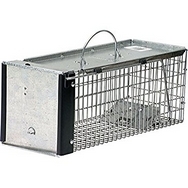 It's easy with our Humane Single Live Catch Rat Trap made of long lasting galvanised steel mesh which is rust proof. Measures: 40cm x 27cm x 28cm and comes fully assembled and ready for easy use. Full instructions are supplied. 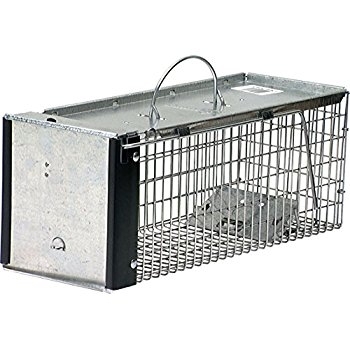 This cage trap has a solid top with a carrying handle so the trap can be easily picked up and transported. NO POISON - NO KILL live capture rats.